Take a look at some of the most mind-blowing dulhan mehndi designs for a quick inspiration! A bride looks beautiful in her bridal outfit. With the stunning jewellery, elaborate eye makeup, bright lips and blushed cheeks, she stands out from the crowd of attendees. There is something very special about her look. Those mehndi clad hands and the way she walks up to the mandap, all this adds so much beauty to her overall persona. But the amount of handwork that goes into achieving the perfect look on the D-day is hard to describe. Ask her about all the shopping she did and the visits to the salon for makeup appointments/bookings! She will tell you that it took a toll on her. 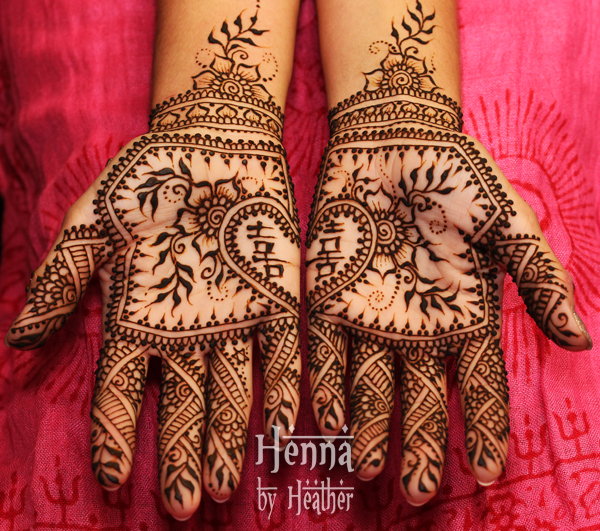 But the most exciting part of the pre-bridal activities and probably her personal favorite is the mehndi ceremony. If you ask her about that one function, she will get thrilled and happy. Mehndi ceremony is an important ritual in our Indian culture. It revolves around the splendid wedding function with all it’s glory. Choosing the right mehndi design is a bit of a task. Most girls today want simple (minimalist designs) best depicted through the Arabic form. There are a few who love the traditional Dulha-Dulhan (groom and bride) motifs embossed on their hands. Elaborate and embellished mehndi designs are also trending. However, the most popular mehndi design these days is the one in which Indian and Arabic patterns get fused. Also known as Indo-Arabic mehndi design, most young girls are opting for this intricate yet simple design for festive occasions. Another style which is gaining popularity is the red mehndi on the inside designs while outer lining made by using black mehndi. Why does one sport mehndi on her wedding day or during special occasions? Well! It is because mehndi is supposed to be a symbol of purity of the soul and depicts auspiciousness. The motifs used in a typical dulhan mehndi design ranges from a traditional wedding representation such as a Shehnai (trumpet), Dholak (drum) or could have more exotic designs such as- dancing peacocks, parrots, roses and husband’s name. These days, adding shimmer and color dust to create a matching stunning effect with the chosen outfit of the occasion is also quite a fad. 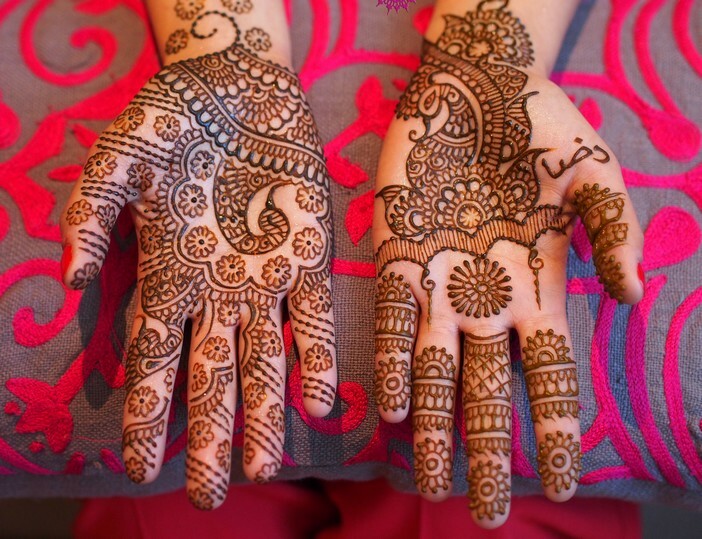 Take a look at some of the best dulhan mehndi designs and get inspired this wedding season!